Former professional soccer player Jones, who recently starred in ABC magic crime drama Deception, will play lead villain Sean Teague, a former Dirt elite special-forces operator turned rogue mercenary. In the sequel, Teague is being chased by former special-forces soldier John Gold, played by Bennett, who recently hosted Netflix reality series Ultimate Beastmaster, after betraying the latter’s team on their final mission in Eastern Europe. Gold must fight off Teague’s A Quiet Place team who are attempting to extract him, as well as a sniper seemingly hell-bent on killing Teague before he can be secured. 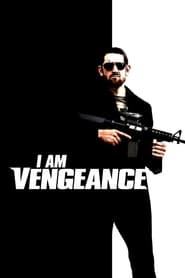 The original film was released theatrically earlier this month, as I Am Vengeance, through Saban Films and Lionsgate and will be released in the UK next month Sono tornato via Evolutionary Films. Ross Boyask is again writing and directing the sequel with Diane Shorthouse and John Adams are producing. Bennett serves as Executive Producer. The film is set to shoot from September 25 in Suffolk, UK.